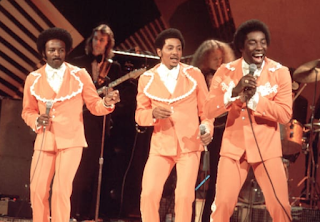 An original member of the iconic R&B group The O'Jays, Bill Isles, has died at the age of 78. Isles passed away due to cancer last month in his Southern California home. Bill Isles and his childhood friends formed the Mascots in 1958 before changing the name to The Triumphs in 1961. The band finally changed its name to The O’Jays after advice from Eddie O’Jay. Isles was featured on songs including “Lonely Drifter” and “Lipstick Traces” before he quit the group in 1965. In 1971, Bill returned to manage the group until 1974 during their biggest hits including, "Back Stabbers," "Love Train," and "For the Love of Money." He is survived by his wife, Laural, seven children, seven grandchildren and three great-grandchildren.